In August, Stella and I had the good fortune to travel to Oregon to participate in Joel Conner’s horsemanship clinic at Northwood Farms. Though she hasn’t traveled off the SAFE property often, she was awesome. 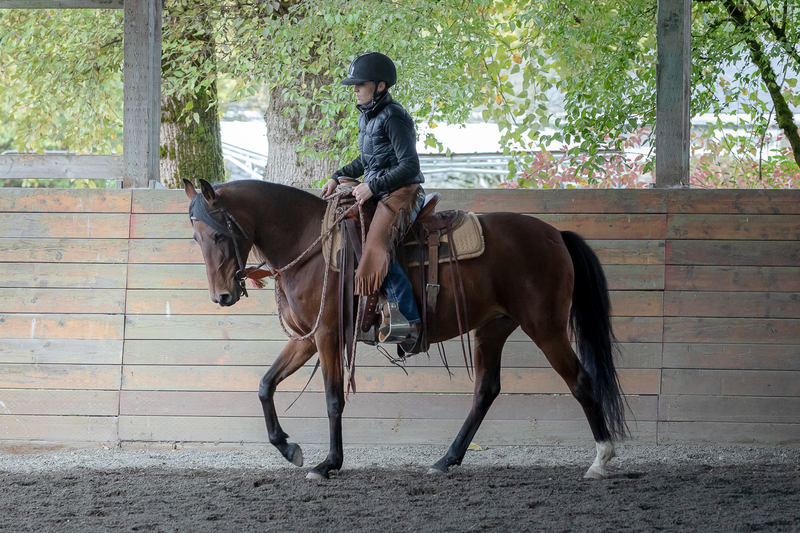 She loaded right into the last space on the trailer without a problem and handled herself safely for unloading. 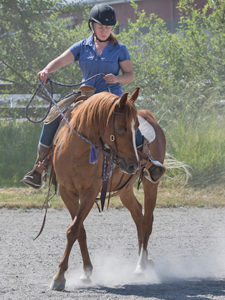 When we got out to the arena, she settled right in to work. 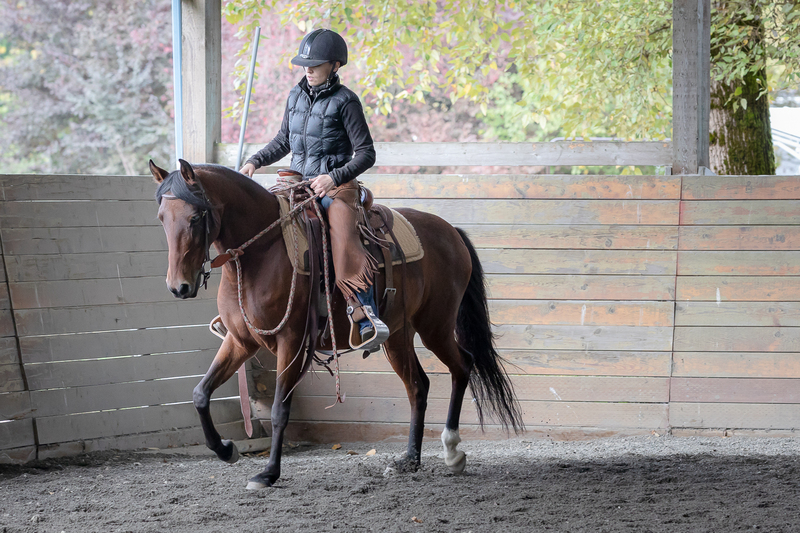 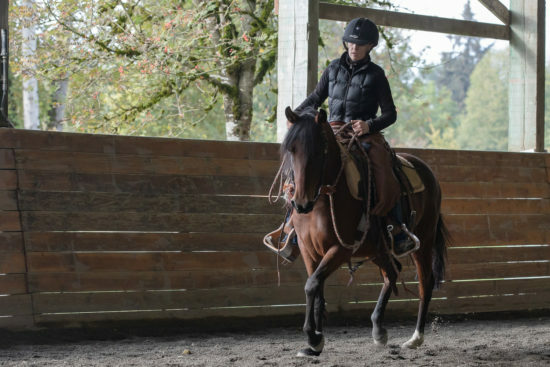 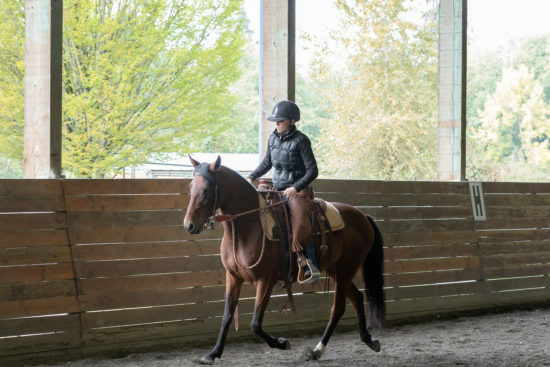 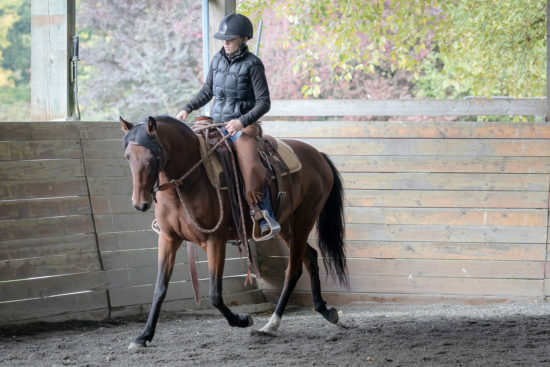 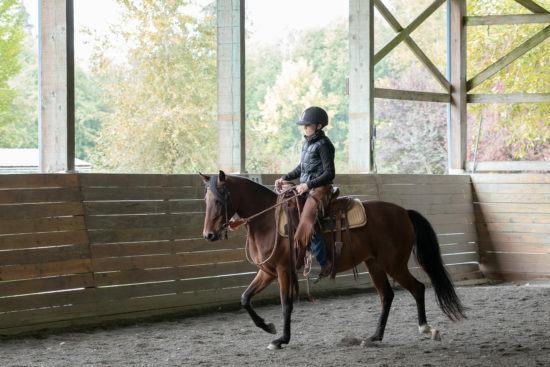 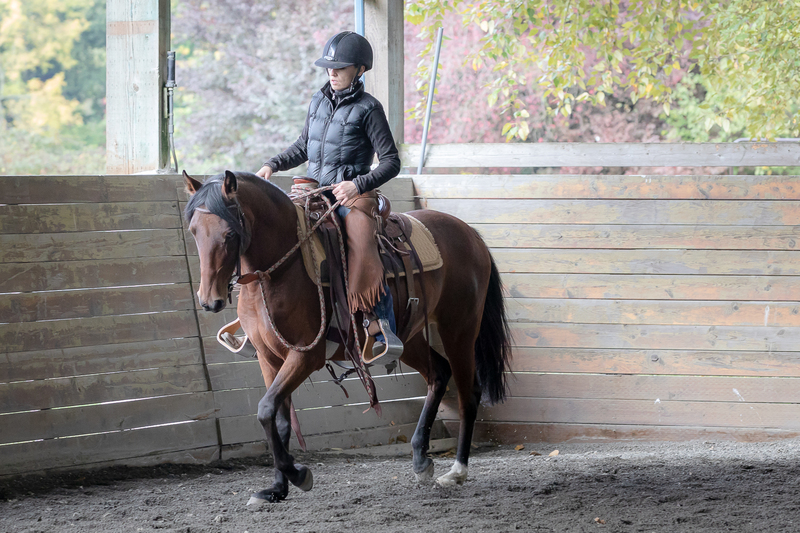 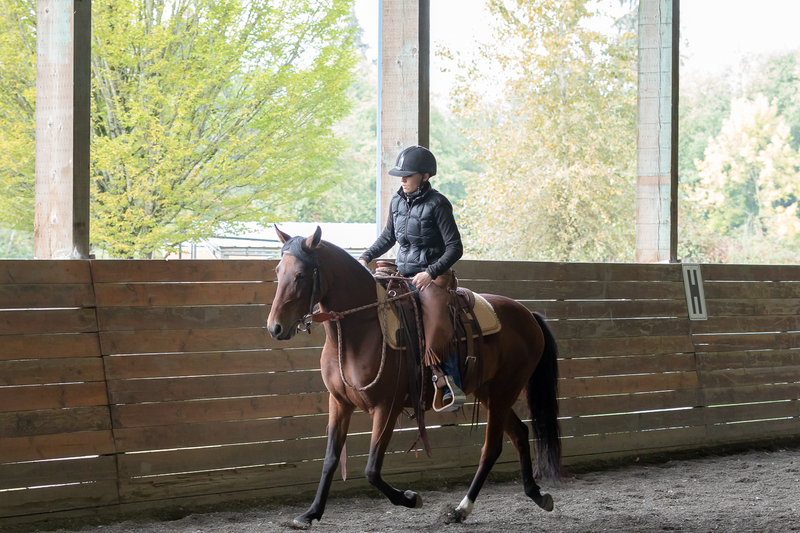 Though she has a tendency to get troubled by the back cinch and stirrups, the exercises both on the ground and under saddle really helped bring her to a place of peace fairly quickly. 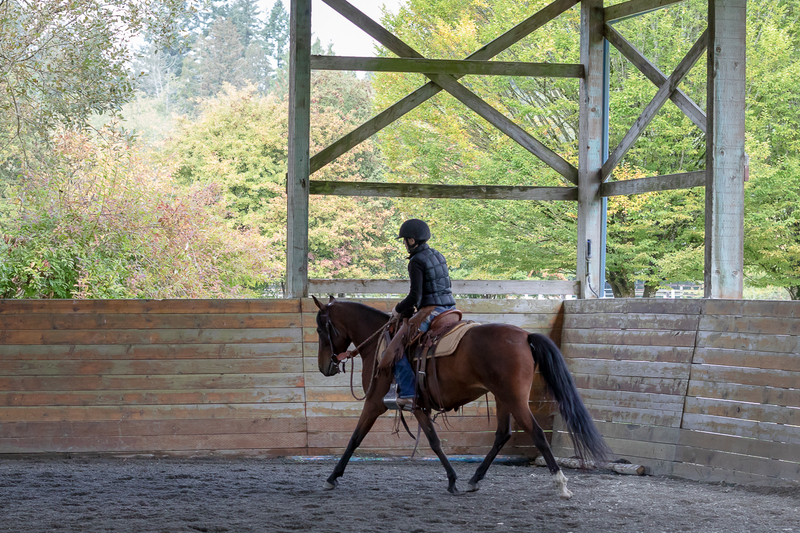 She was unconcerned about the other horses in the arena, and was safe when they got close. 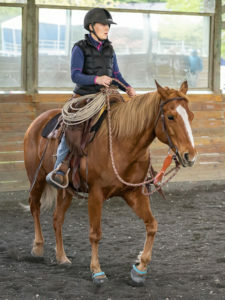 She did get a bit herd bound when she was in her stall, and would call if a neighbor left (this happens at home, too), but it wasn’t an issue while we were working. 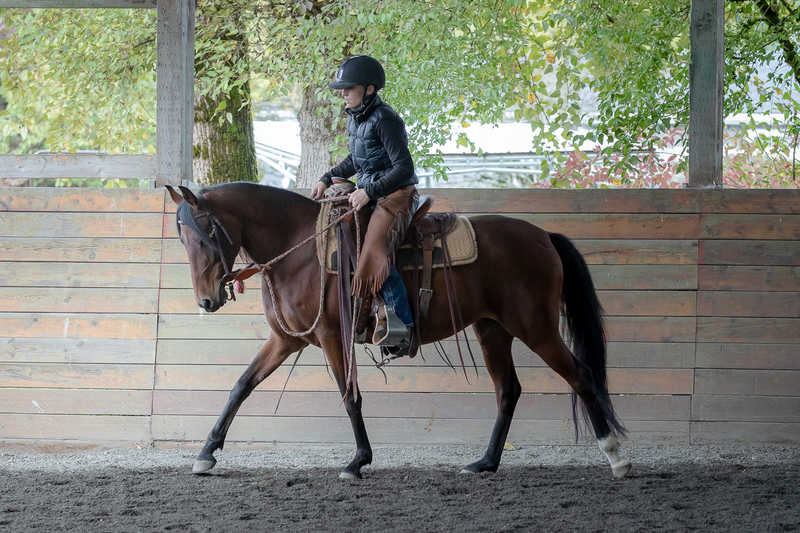 Joel came to SAFE this past weekend, and Stella continued to show growth. 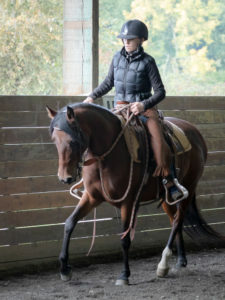 Her walk‐to‐halt and trot‐to‐halt transitions were consistently solid and soft, and she was less troubled at the canter. 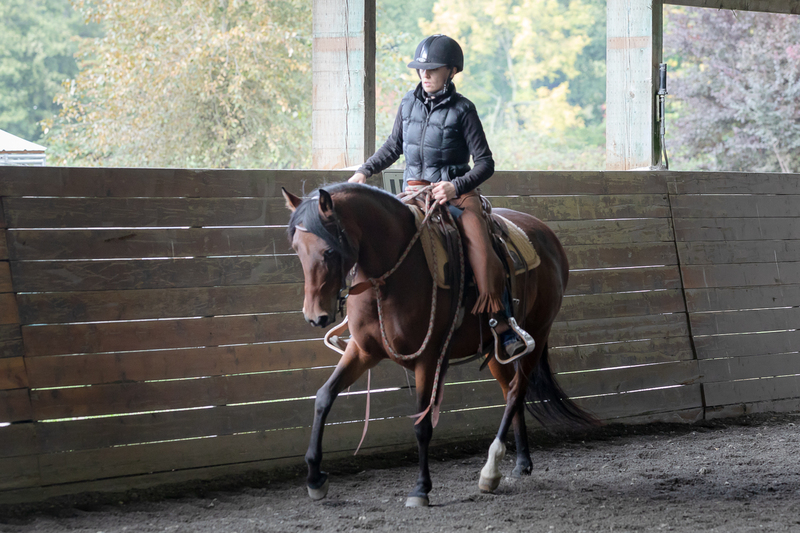 This weekend we got a couple of walk‐to‐canter transitions and halt‐to‐canter transitions. However, she’s very sensitive, so it will be important to make sure that she doesn’t start to anticipate these transitions and get tight or start to pull. 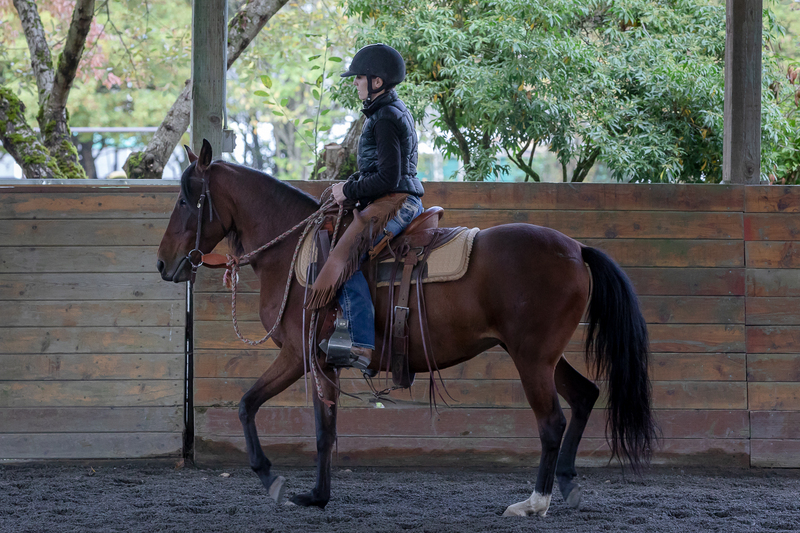 We also have some exercises that we’ll be working on to improve haunches in. Stella is a talented partner, and she’s certainly ready for her forever home!